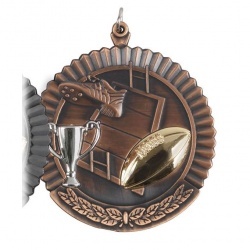 2in dia Rugby Medal in Bronze Finish. 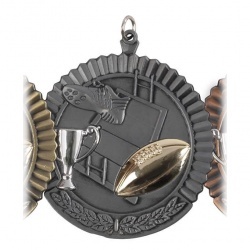 Optional Sleeve or Case. 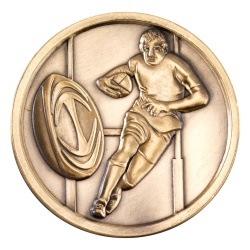 2in dia Rugby Medal in Gold Finish. Optional Sleeve or Case. 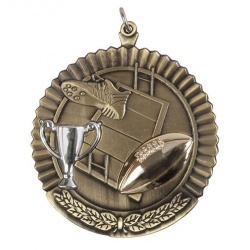 2in dia Rugby Medal in Silver Finish. Optional Sleeve or Case. 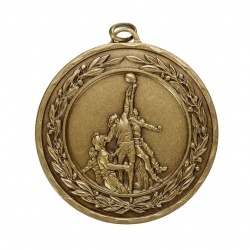 50mm dia antique gold rugby medal with ribbon loop. Optional box. 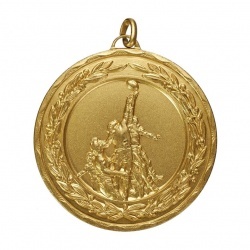 50mm dia gold rugby medal with ribbon loop. Optional box. 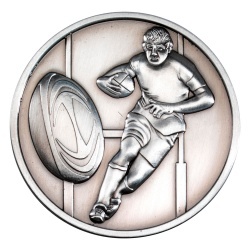 50mm dia silver rugby medal with ribbon loop. Optional box. 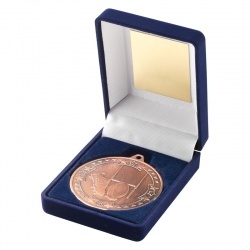 50mm Bronze Finish Rugby Medal in Deluxe Presentation Case. 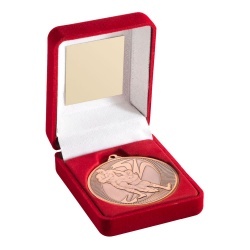 50mm Bronze Finish Rugby Medal in Red Deluxe Presentation Case. 50mm Gold Plated Rugby Medal in Blue Presentation Case. 50mm Gold Plated Rugby Medal in Red Presentation Case. 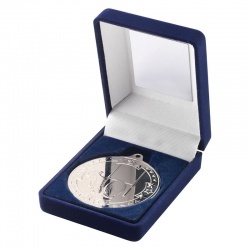 50mm Silver Plated Rugby Medal in Deluxe Presentation Case. 50mm Silver Plated Rugby Medal in Red Deluxe Presentation Case.